This site has always been a documentation of the world I see through my eyes and it will continue to play out that way. I know that I am am very blessed to be given the opportunity to travel the world, and I feel even more blessed to be able to share my experience with the everyone who reads. I hope my words can somehow also inspire those at home to reach out of their shells and dive into the uncomfortable, not just through travel but in general. Travel has taught me that my comfort zone is a place where I don’t grow as a person. And although sometimes when I climb out of my comfort zone I get burned, I nearly always improve my personal being, learn something, and have a great time. And the times I reach out of my comfort zone and fail, well, at least I usually have a good story to tell. 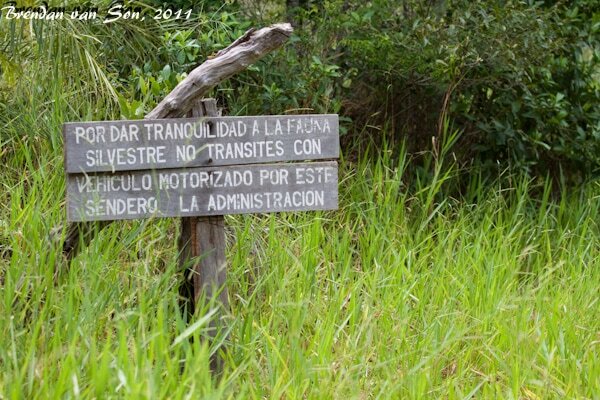 The sign basically says “To protect the tranquility of nature, no vehicles on this path please” Yeah, like a vehicle could get through that foliage. 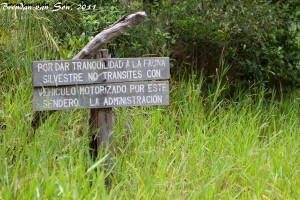 I had been bragging on about my time in Cerro Cora National Park in Paraguay for a long time now, not able to truly share the experience since the story was sold to an ezine called “The Expeditioner.” I have been excited about being able to share this story with you for a long time because this was a classic adventure where I pushed on despite my fears, worries and overall better judgement. As I was trekking alone in 44 degree Celsius heat, pushing through snake filled grass following jaguar tracks, I can’t tell you how many times I thought to turn back. I can’t tell you how many times I had to tell myself to push on. 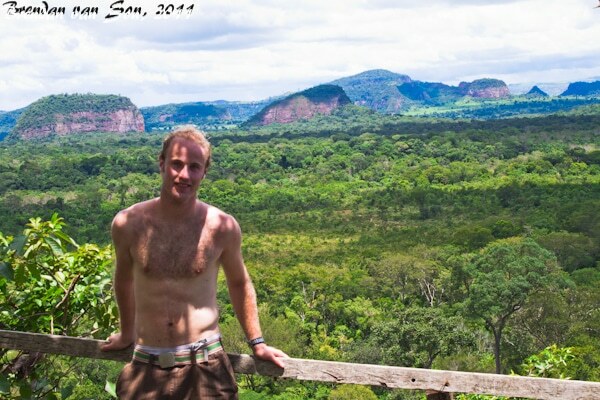 And in the end, it was one of the best experiences I had in South America. Not because of anything I saw, but because of the fact that I managed to overcome an obstacle that laid in front of me: my own fear. 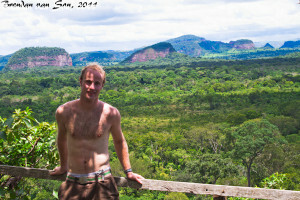 Here is the story as published in The Expeditioner: “Searching for Jaguars in Paraguay.” Enjoy. Glad you faced your fear and in what sounds like an incredible place! Ah! Cool! I laughed so much at the end of your article. Really well written! Incidentally, I saw today that the word for ‘to hunt’ in German is ‘jagen’. Is that just coincidentally similar to jaguar? I am clicking on it now.